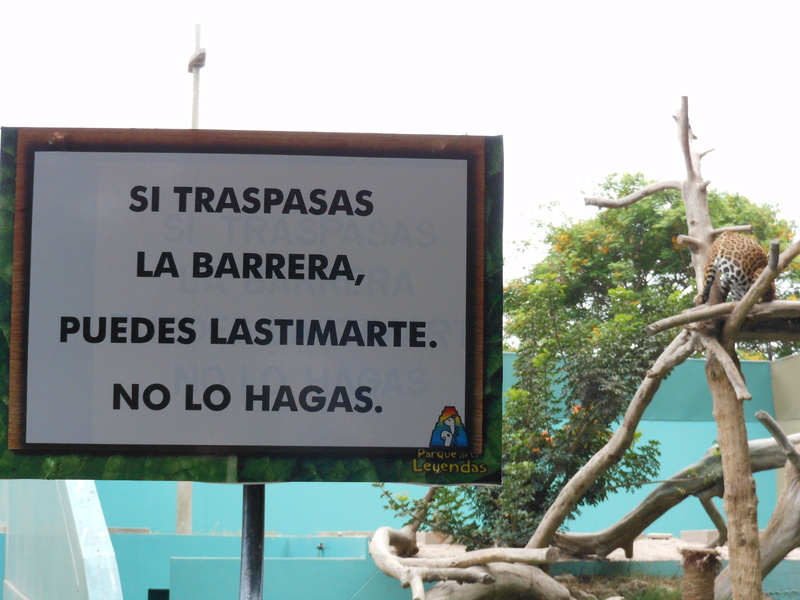 Posted on June 22, 2012, in Peru, Photography and tagged jaguar, Lima, Parque de las Leyendas, Peru, photography, sign, Spanish, warning, words, zoo. Bookmark the permalink. 1 Comment.